Prim’s algorithm is a greedy algorithm. It finds a minimum spanning tree for a weighted undirected graph. 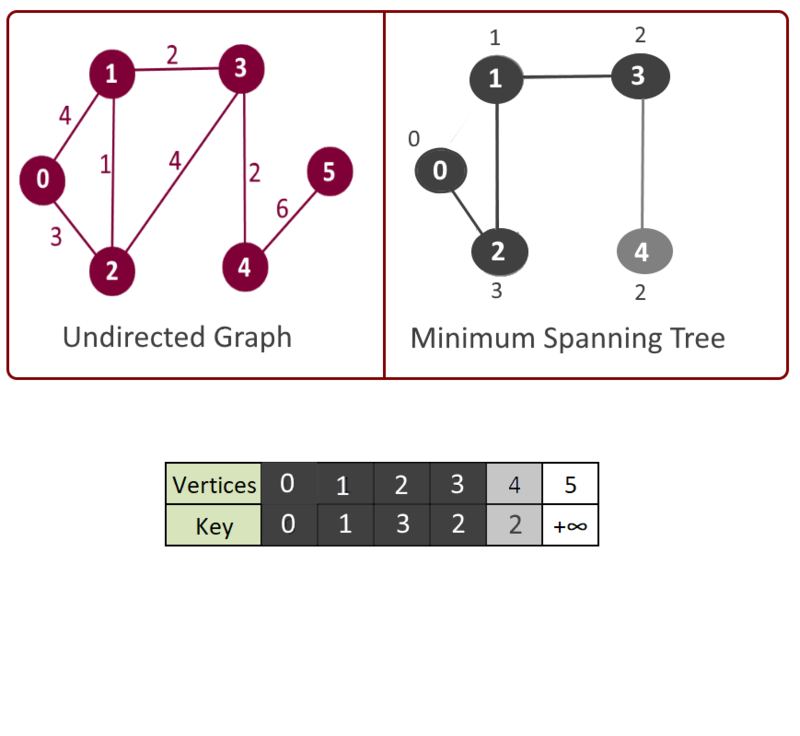 The algorithm operates by building this tree one vertex at a time, from an arbitrary starting vertex, at each step adding the cheapest possible connection from the tree to another vertex. 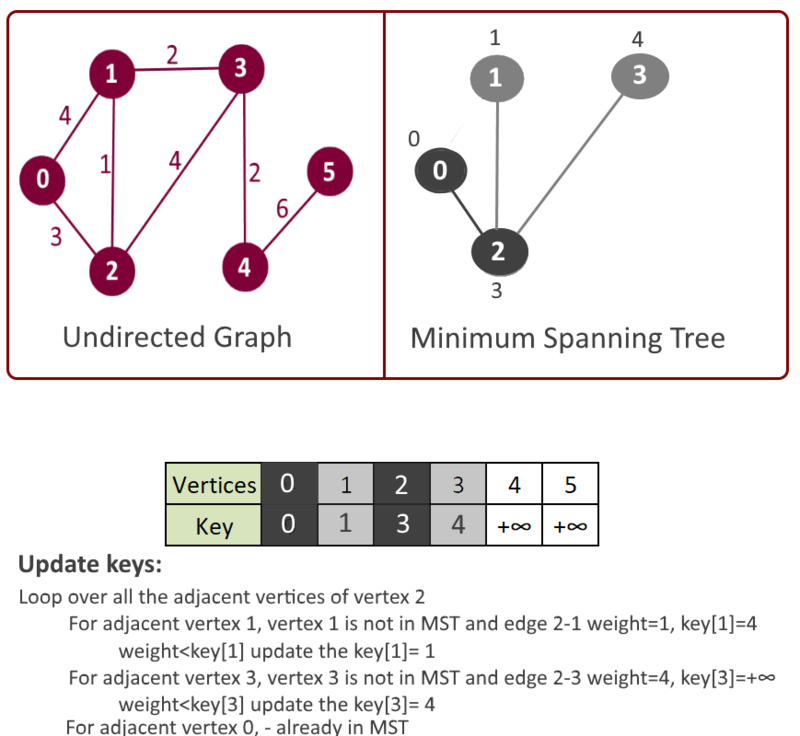 How to implement Prim’s algorithm? 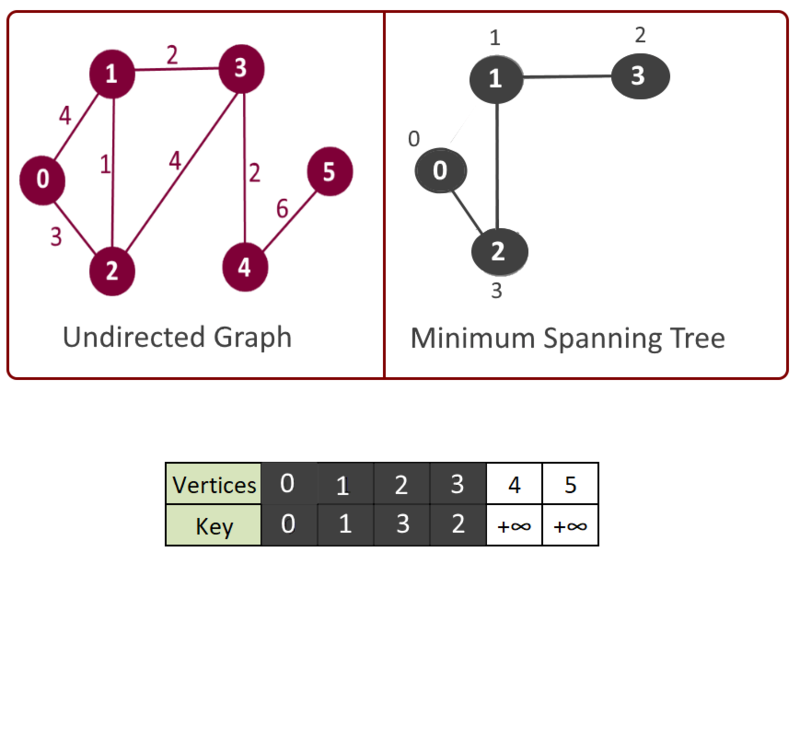 Start with the empty spanning tree. 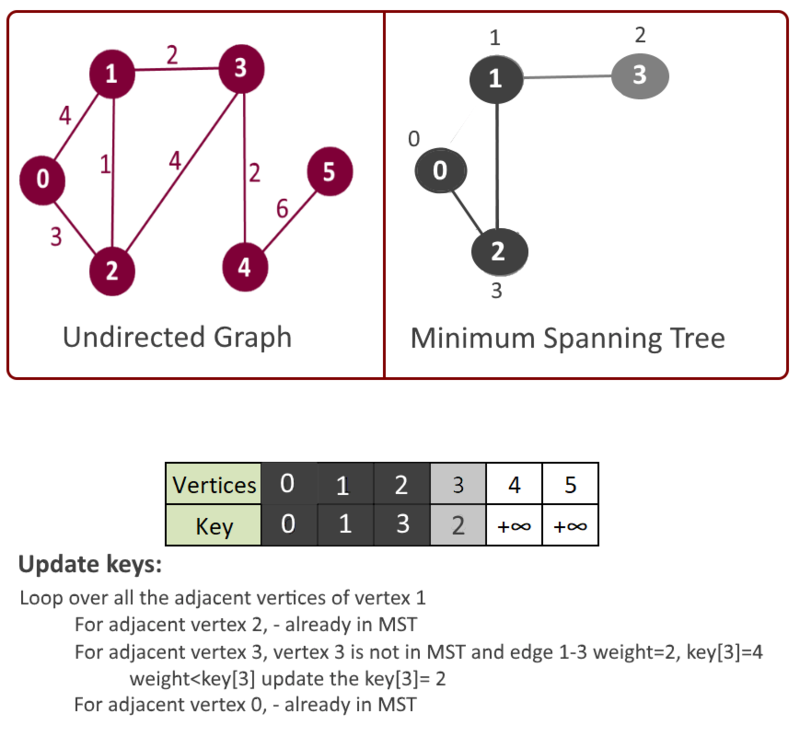 Maintain a set mst to keep track to vertices included in minimum spanning tree. Assign a key value to all the vertices, (say key ) and initialize all the keys with +∞ (Infinity) except the first vertex. 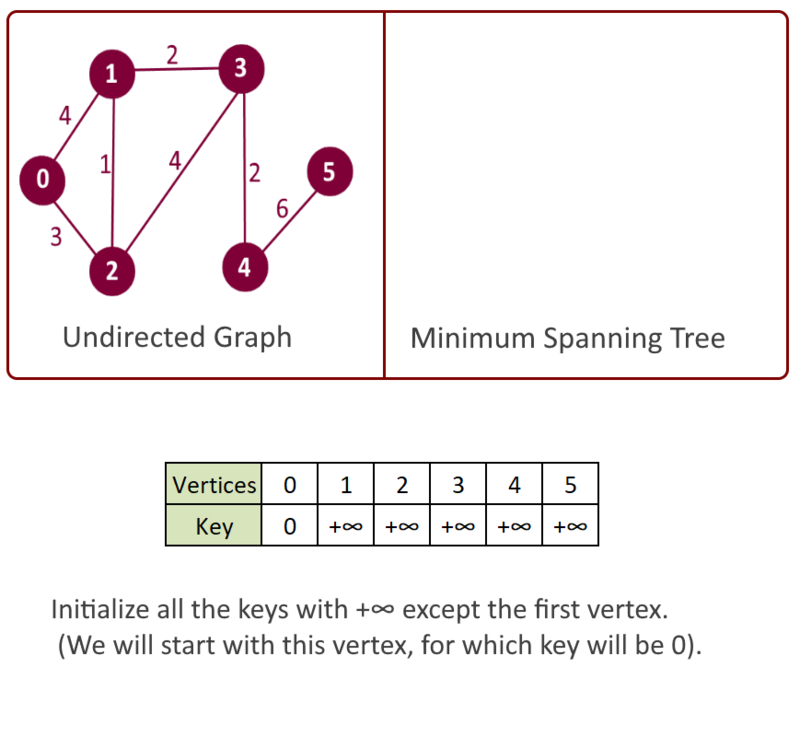 (We will start with this vertex, for which key will be 0). 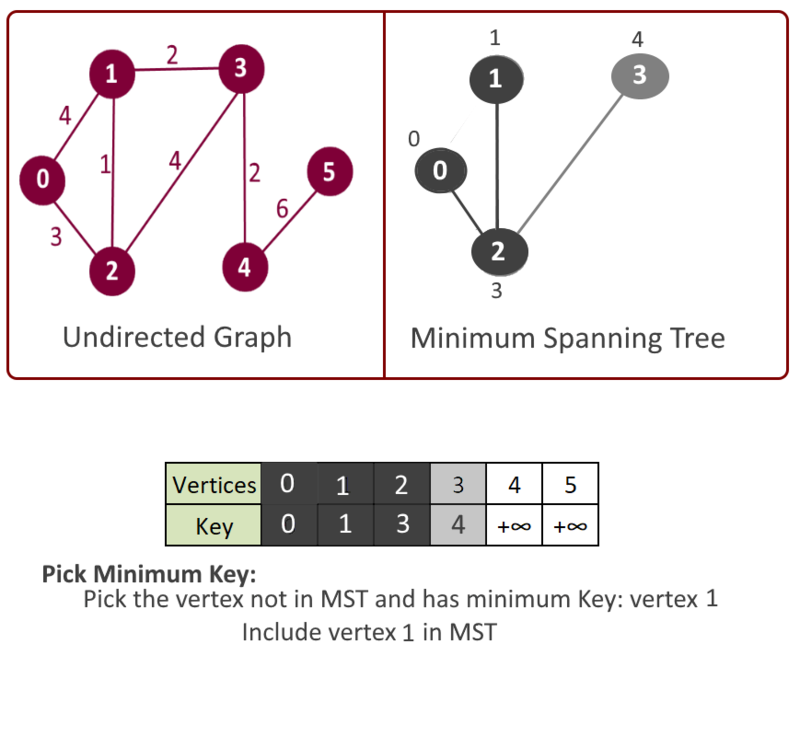 Key value in step 3 will be used in making decision that which next vertex and edge will be included in the mst. 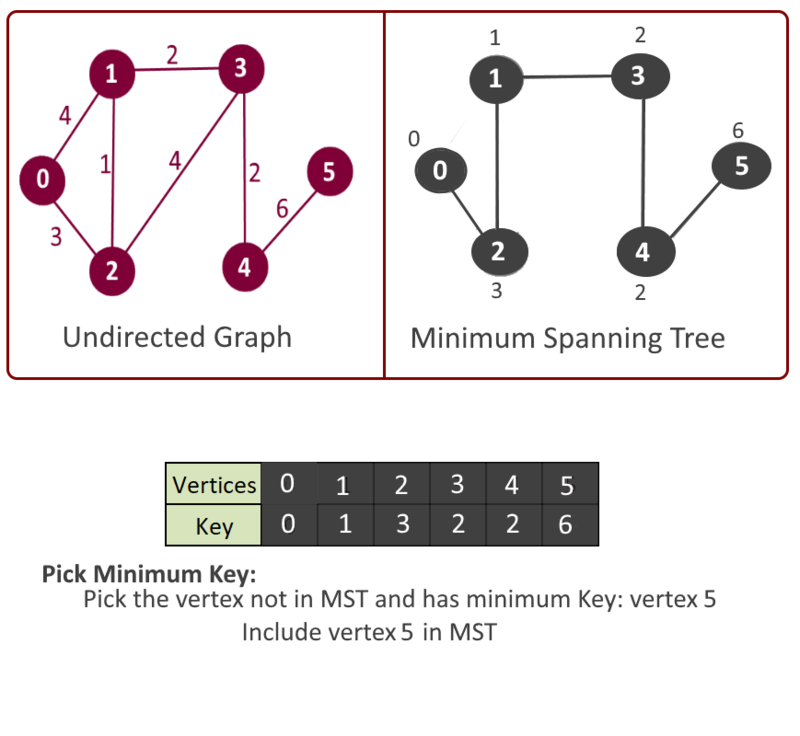 We will pick the vertex which is not included in mst and has the minimum key. 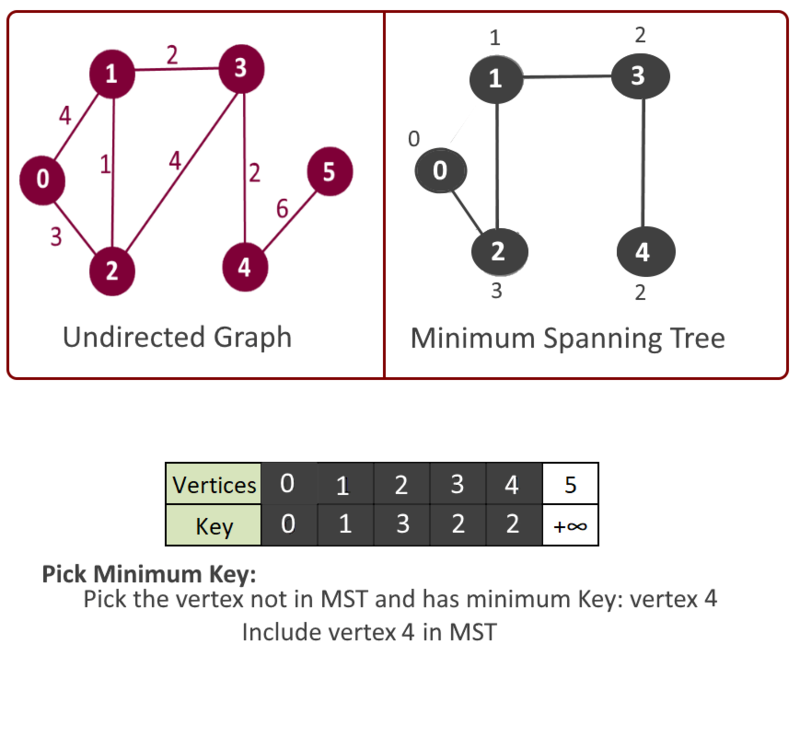 So at the beginning the first vertex will be picked first. 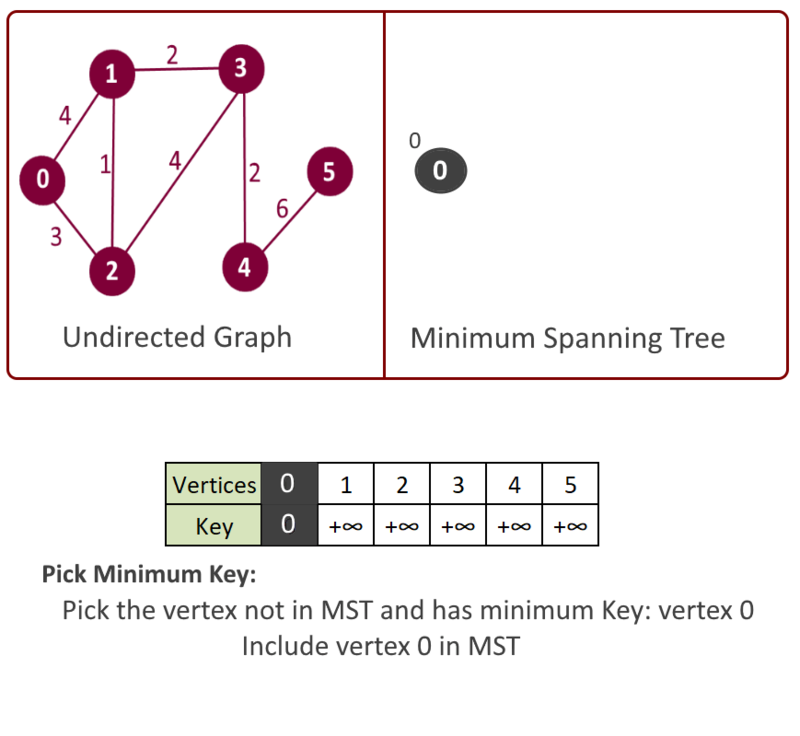 Pick the vertex u which is not in mst and has minimum key. 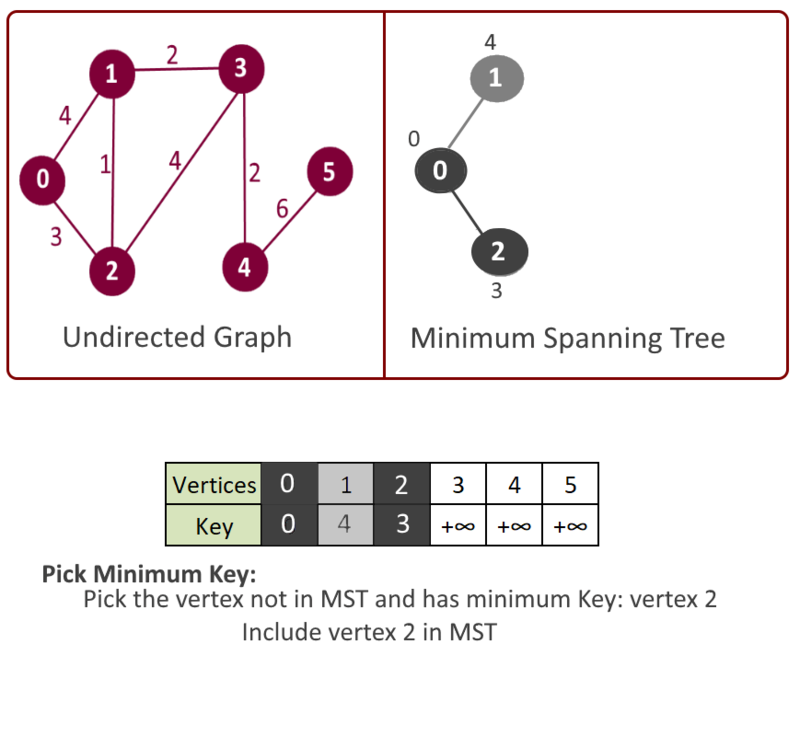 Add vertex u to mst. For adjacent vertex v, if v is not in mst and edge u-v weight is less than the key of vertex u, key[u] then update the key[u]= edge u-v weight. Please see the animation below for better understanding. 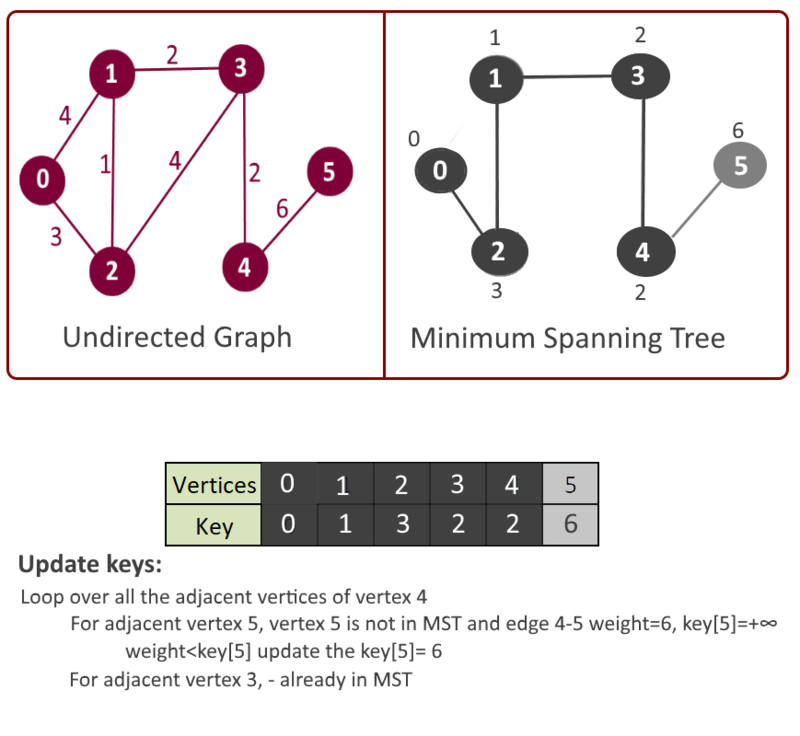 Adjacency List – Priority Queue with decrease key. 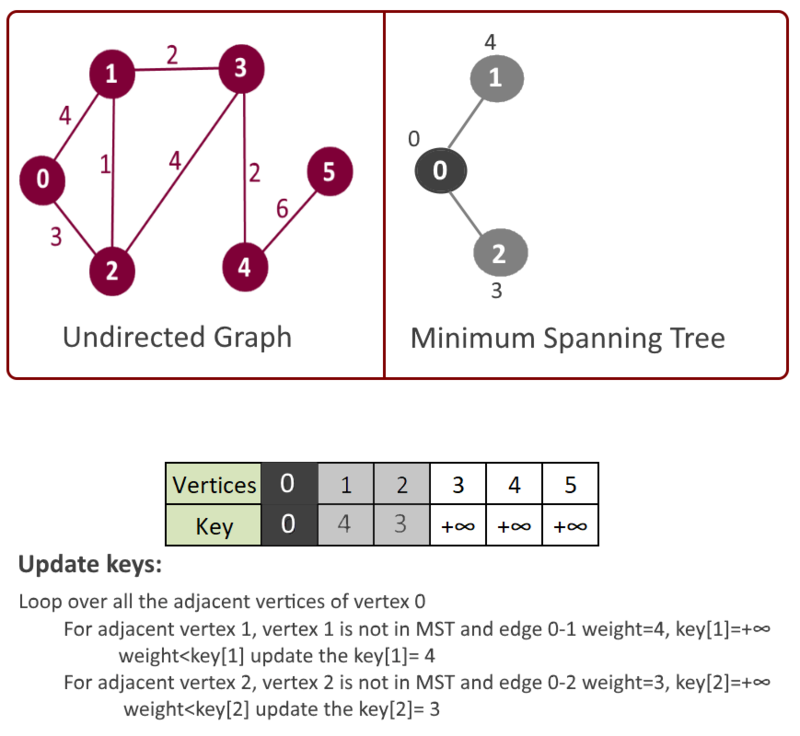 The time complexity of Prim’s algorithm depends on the data structures used for the graph and for ordering the edges by weight. 246 queries in 0.132 seconds.